This Portable Table with Table Skirt Assembles Quickly! Similar Sets are Available in a Full Array of Colors! This is Where to Buy a First-Rate Table Skirt Bundle! 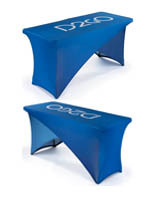 This portable table is the perfect display solution for any promotional event. 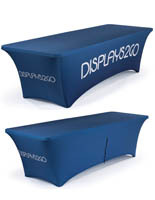 This folding counter, with table skirt presents a professional appearance to customers and visitors. At an affordable price, this portable table provides you with a convenient and reliable tabletop surface to display merchandise. This table features both a foldable display and a table skirt. The portable table folds in the center and features a carrying handle to provide you with maximum portability. 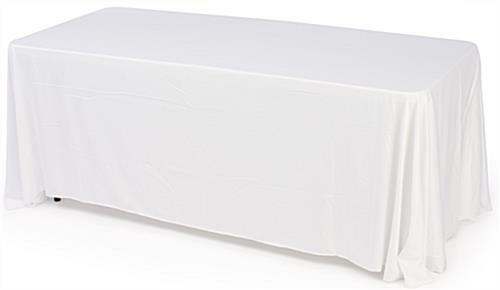 As a result, this table skirt package can be used in any environment. 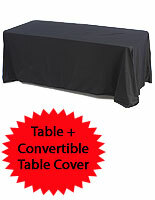 The portable table with a 6 ft. convertible table skirt is bundled for convenience. 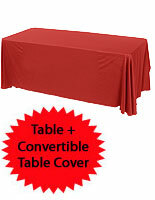 The tablecloth fully covers the front, back and sides of the portable table without exposing the legs. 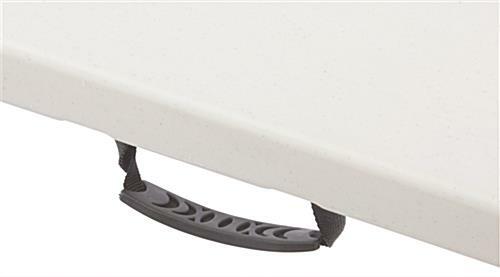 This design allows users to store additional items under the table discreetly. Made from polyester fabric, the convertible cloth is machine washable, wrinkle free. 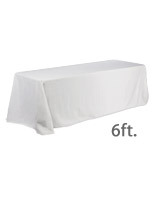 If you have a 4 ft. wide table, you can also convert the cloth to cover it, as well. There are hook and loop attachments around the cloth to cover a 4 ft. table. 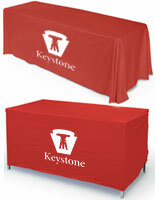 This portable table, also known as a trade show table skirt kit, is great for promotional events. 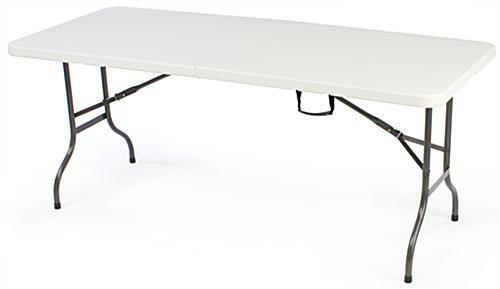 Set your booth apart from other competitors using this bright white portable table.